Nothing is more devastating that the unexpected loss of a loved one whose death occurred because of the negligence or wrongdoing of others. We recognize the overwhelming emotional toll such losses take. We are prepared to address them with the sensitivity and thoughtfulness that is so important when this type of tragedy occurs. Legally speaking, wrongful death claims are often complex. The person killed cannot present his side of the case or contradict the story of the person or company at fault so liability must often be proven by circumstantial evidence. 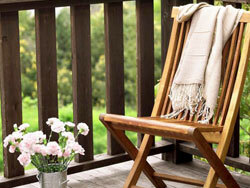 There are also unique rules that apply to the calculation and proof of wrongful death damages. For example, Alaska law specifies particular types of damages recoverable for the death of a person who leaves a surviving spouse, children or other dependents, but specifies very different damages for the death of a child or of an adult who leaves no surviving dependents. Alaska Personal Injury Law Group attorneys have extensive experience in successfully preparing and presenting wrongful death claims. They have represented families who have suffered the tragic deaths of children, parents or a spouse. 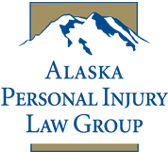 The Alaska Personal Injury Law Group has successfully presented wrongful death claims resulting from a broad range of injuries throughout the state, including those arising in the airline, medical, oilfield, construction and fishing industries. Contact us. We will answer your questions and to help you obtain justice. Dangerous Toys and the Holiday Season Christmas is the time for toys. Parents expect that toys have been designed and manufactured with safety in mind. That is not a safe assumption.